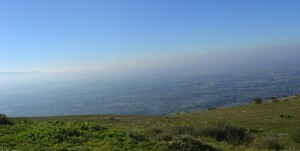 From some time I am participating in the development of the Radio Club Ripoli remote station situated near Rome. On this blog I will briefly describe some of the steps that I personally defined and which have been applied for the remote control of the radio station. First of all the website of Radio Club Ripoli, for those who understand Italian language there are already a lot of information about the point where we got these days. Currently the radio station is composed of a Kenwood TS590s, a power amplifier OM Power 3500A, two full size dipoles 80 and 160 @ 45 meters, a dipole AntennaDinamica 6-40 meters @ 20 meters. The position of the towers is about 550 meters asl, with a really enviable take off angle. 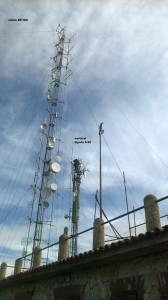 An antennas array RX only, the DXE-RCA8B-SYS-4P by DX Engineering, is undergoing final installation. The heart of the system is the AD Controller software that connects the various parts of software and hardware to synchronize frequencies and modes of transmission between radio and antennas. First of all to make it easier and more user-friendly the option to change the radio frequency to remote radio I developed a small application that allo ws the use of OmniRig via Ethernet. In this way you can double the VFO on your radio at home, whatever model it is, with the remoted radio. QSYing become more easy and natural than with Kenwood PC software, where you are obliged to use the mouse to any operation, even the simplest. We can also connect locally or remotely a logger program, in that way We can take advantage of, for example, the cluster client of our favorite log program directly from home, where clicking on a spot on the home PC We will directly tune the remote radio on the frequency of the DX station. Thanks to AD Controller, antenna selection and rotator direction will be automated, too. At the moment this software (OR2LOG) is in test m ode but its use brings many benefits to the ease of use of the system. Next time I’ll talk about the DXE-RCA8B-SYS-4P remote control.